Words are short to describe a charismatic and dynamic personality like Mr.Selva Kumar Nadar who is the promoter and the CEO of Ashtavinyak Group. Having a rich experience of 5 years in the field of banking in a well renowned bank, Kotak Group as a Manager and having 6 plus years of experience in field of capital market. 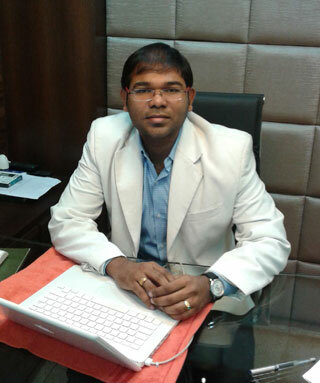 His sheer drive and enthusiasms has enabled Ashtavinayak group to flourish to a substantial extent.Mr.Selva believes in the principal that building and maintaining a lifelong relationship with a client is a basis crux for the very existence as well flourishing of any business, because of this Ashtavinayak as a group could spread its wings in India as well as internationally. Mr.Selva has completed his Bachelors in Engineering from one of prestigious institute of Mumbai, Swami Vivekananda Institute of Engineering and also holds a master degree in finance from Wellingkars Institute of Management, Mumbai. Financial partner with Shiv Eye care Opticians-Pune. Business Partners with Makers Girls Hostels-Pune.